Before the opening of the latest Super Sentai VS movie, Tensou Sentai Goseiger vs Shinkenger last Saturday, TV Asahi aired a 1-hour Super Sentai TV Special in celebration of the franchise's 35th Anniversary. 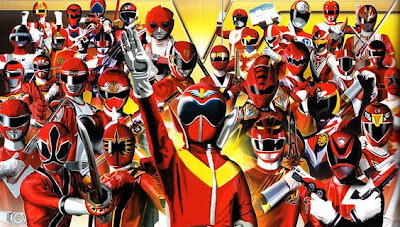 The 35th Super Sentai Anniversary TV Special features a few of the series' history, a list of top series in the Showa and Heisei Era, and a glimpse to this year's team, Kaizoku Sentai Goukaiger. Azusa Yamamoto, Ninpuu Sentai Hurricaneger's Furabijo, acts as a special guest in this TV special. You can watch the full 35th Super Sentai Anniversary TV Special at Gold Samurai's YouTube Channel or download them via the following links: Part 1, Part 2, Part 3 and Part 4.